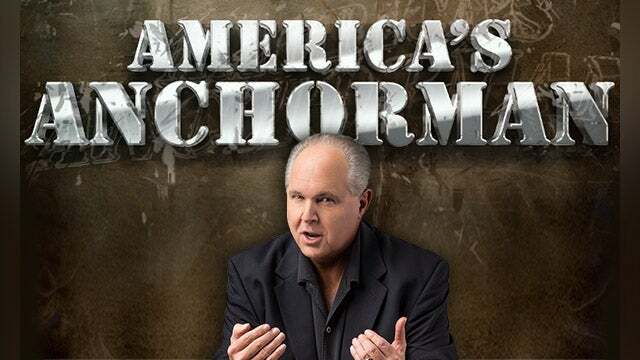 RUSH: I have for many, many moons now been informing everybody that the left, that the liberals, that the progressives, the Democrat Party cannot be open and honest about what it believes because if it were they would suffer tremendous defeats nationwide. Remember, I’ve always said that. They have to mask themselves. They have to camouflage themselves as centrists or other things. Obama was a master at it. Bill and Hillary Clinton were masters at it. But something’s happening out there, and it’s gonna redound to our benefit, because the Democrats are now throwing off the masks. They are throwing off the camouflage, and in the process they are revealing themselves to be who they really are. This is earth-shattering. It is blockbuster potential. And it’s happening on two different issues today, gun control and this whole sanctuary city thing that is percolating out in California. The gun control is the biggie, and there are a lot of offshoots or subsidiaries to that as well. And just to illustrate what I’m talking about, how many of you have heard that a former Supreme Court justice, John Paul Stevens who, by the way, he was a Gerald Ford appointee, but the guy’s always been a wacko leftist. He literally has been a wacko leftist. How many of you have heard that this guy is now calling for the repeal of the Second Amendment? And how many of you are outraged at this? How many of you, “This is unacceptable. We can’t –” No, no. Folks, we want more of them doing this. This is a great thing. Now they are joining him, and smarter heads in the Democrat Party are trying to make you forget it, trying to tell you that, “No, Stevens doesn’t really mean that.” The smarter heads — and there aren’t very many — are trying to continue the mask and the cover-up. Look at this census business. That’s another thing too. By the way, greetings. Great to have you here. I’m glad to be back after a sybaritic pursuits day off yesterday. 800-282-2882 if you want to be on the program. So the Trump administration, the Commerce Department is going to add a question to the census. You talk about a common sense question, “What is your citizenship status?” They are blowing up out there. This one issue is going to serve to illustrate to anybody who will listen exactly what I have been saying about the illegal immigrant issue as it relates to the Democrat Party over the past 10, 15 years. Now, it may seem obvious to you and me that the Democrats are for illegal immigration and for granting amnesty because they want to expand their voter registration. But you’d be amazed at the number of average, ordinary Americans, who, despite hearing this, reject it. They think that the Democrats just have more compassion than the Republicans. These are poor people. They are fleeing areas of great despair. They’re fleeing worn torn despotic tyrants. They’re fleeing squalid, poverty ridden conditions, and who are we to say they can’t have a better life? That’s how the nonideological and the nonparty affiliated look at it. This is going to wake them up. This is going to serve a tremendous purpose. So there’s two things happening out there — and the Democrats are feeling their oats because they’re lying to themselves about they’ve already got the 2018 midterms won. They believe everybody hates Trump just as much as they do. So the election is as it was in 2016, it’s a foregone conclusion, it’s a fait accompli. And with this comes a feeling of their oats, a newfound confidence that they can finally be honest. Look at how they had to hide the fact that they were for gay marriage for decades and then one day, it seemed like in one day it happened, became legal in all 50 states. That emboldened them. And they think — I’m telling you. Do not doubt me. They think they are on the cusp of getting the Second Amendment banned or repealed with the same speed and fervor that they secured gay marriage as a legal entity in all 50 states. And on that they could not be more wrong. Now, on the subject of the Democrats and feeling their oats and thinking everybody hates Trump as much as they do, have you seen the news about the ratings for Roseanne’s show last night, the reboot of Roseanne? Have you seen these numbers? These numbers, in adults, outdrew CBS Make America Horny Again Tour with Stormy Daniels on 60 Minutes Sunday night. The preliminaries have an 18 million audience. And again demographically the number of adults larger than those who watched the Make America Horny Again Tour chapter 19 on CBS on Sunday night. Now, it struck me that there may be some of you in the audience that may not know, what is this Roseanne? I don’t remember that show. Who is Roseanne? Let me briefly recap for you. The sitcom Roseanne starred Roseanne Barr and John Goodman as a middle class, middle American family known as the Conners. The show was set in a small town, Lanford, Illinois, the blue-collar family, humorous backbone through the trials of life, marriage, raising a family, making ends meet. They got an LGBQ kid, something along those lines. It was a show back in its heyday, and it had a hell of a heyday, that related almost miraculously with many blue-collar middle-class families. And it was genuinely funny. It was genuinely good entertainment with just the slightest political overtones. It was not a program known for its political identity. In fact, you might even say it was a show about the silent majority of people who make the country work. The themes on the show were timeless about hard work, perseverance, overcoming obstacles, the difficulty of raising a family. All of those things were incorporated into this sitcom, and it had great ratings during its initial run. It premiered October 18th, 1988, which, by the way, coincided with the era of Limbaugh commencing on August 1st of 1988. It is no accident, and it is no coincidence, that the Roseanne show was a blockbuster at the same time the era of Limbaugh was unveiling. And it was a runaway hit. Roseanne was one of the most successful series of the late eighties and early nineties: Four Emmys, three Golden Globes, four American Comedy Awards, and a Peabody. It ran from 1988 to 1997. There’s an old adage in showbiz: “Give the audience what they want and keep them wanting more.” So they brought Roseanne back. ABC brought Roseanne back. Now, Roseanne Barr, in her real life, is a very ardent pro-Trumper. She was on Kimmel the other night; she was really savaging Kimmel for going overboard criticizing Trump. So I hear a caveat. The first episode was last night, and it blew through the roof, as I say, 18 million total audience. I mean, that’s dwarfing This Is Us, folks, in the adult demographic. So the question: Does this prove that people are tired of anti (leftist) views all the time in prime time entertainment? Well, to know that, you would have to know how many people knew what this show was gonna provide. How many people knew that Roseanne is pro-Trump and how many people knew that the program was gonna be pro-Trump? And that, we don’t know. But I don’t think there’s any question. I think the American people are fed up with prime time entertainment so-called, because it isn’t anymore. People are fed up with the so-called entertainment of the NFL. Here, by the way, a little subsidiary note. You hear what the NFL has done? The NFL has decided to donate $90 million to, quote-unquote, “social justice causes” to placate their players. But they have not addressed whether or not the players will be required to stand during the anthem. So you know what this means! Back to Stormy Daniels and the Camera Hogg from Parkland high school in Florida. Well, Stoneman Douglas High School in Flor… Oh! Gonna have some salient comments today. I found some amazing things on this whole issue of the kids and the protest and the march and anti-guns I want to share with you. But Camera Hogg has announced that he’s been rejected by four more universities, all of them in the University of California system. Well, I don’t know, but he says it isn’t gonna matter, that he’s still gonna change the world if anybody wants to tag along with him. I can’t escape this even when I have a day off to pursue sybaritic pursuits. It doesn’t matter what I did. It was the questions I was asked. And I can’t escape this. Some people said, “You know, Rush, could you explain something to me.” “I’ll try.” “Why do these Parkland kids and the Democrats dump all over Marco Rubio? Marco Rubio is the only guy in the Republican Party trying to compromise with ’em. Marco Rubio is the only guy that’s actually acknowledging that he has some degree of agreement with them, and they’re just as mean as ever, and they are as unresponsive and unsupportive. They’re rejecting Rubio, and they’re doing it personally, mean-spirited. Why?” And I said, “You know, that is a very shrewd question. The fact that you even asked that question means that you are highly, highly attuned and aware.” Have any of you wondered why that is? If you’re not aware, Rubio appeared on the CNN town hall immediately after the… Well, relatively immediately after the shooting at the high school. He was the one Republican that did. And they just hooted and hollered and one of those kids stood up and said, “I can’t even look at you. Folks, it makes so much sense in the world. It tells us so much. I was so thankful I got the question, because it’s all part of the left stepping in it now and no longer trying to mask who they are and what their objectives really are. They do want to get rid of all guns. They do want to confiscate every gun they can get their hands on. They do want to repeal the Second Amendment. A lot of them in our country don’t believe they really want that. They want “common sense.” But now this is gonna wake up a lot of people who have refused to listen to me and others properly define and explain these progressives. And they all think that I’m overstating it. They all think that I’m exaggerating a bit. “That’s just not true, Rush.” I try to tell ’em. Now the evidence… The evidence we’re collecting is gonna confirm this, and it’s not even gonna require me pointing it out. The answer to the Rubio question is contained in what I just said. I’m gonna happen get to it in a minute. But here I got a Roseanne sound bite from last night, a clip, Roseanne and her sister Jackie discussing why Roseanne voted for Trump. 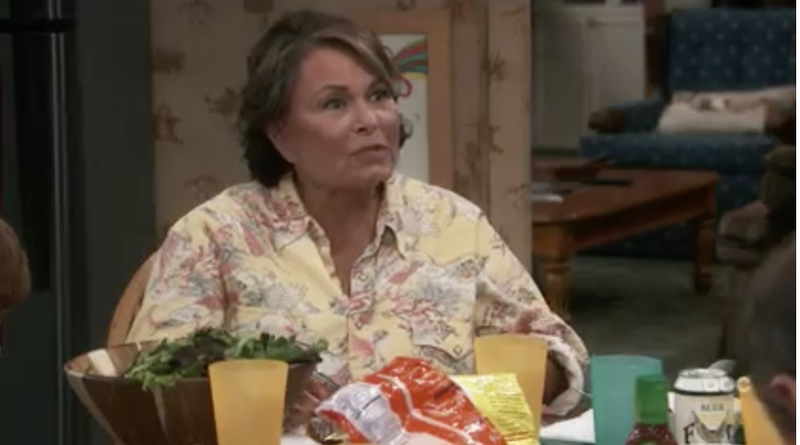 JACKIE: How could you have voted for him, Roseanne? ROSEANNE: He talked about jobs, Jackie. He said he’d shake things up. I mean, this might come as a complete stock to you, but we almost lost our house, the way things are goin’. JACKIE: Have you looked at the news? ‘Cause now things are worse. ROSEANNE: Not on the real news. RUSH: Prime time ABC. Can it last? That’s the opening episode, 18 million-plus viewers.